I’ll be living in a serviced apartment not too far from this sign for the next 4 months. But apparently, taxi drivers are not too familiar with the name and street of my building. 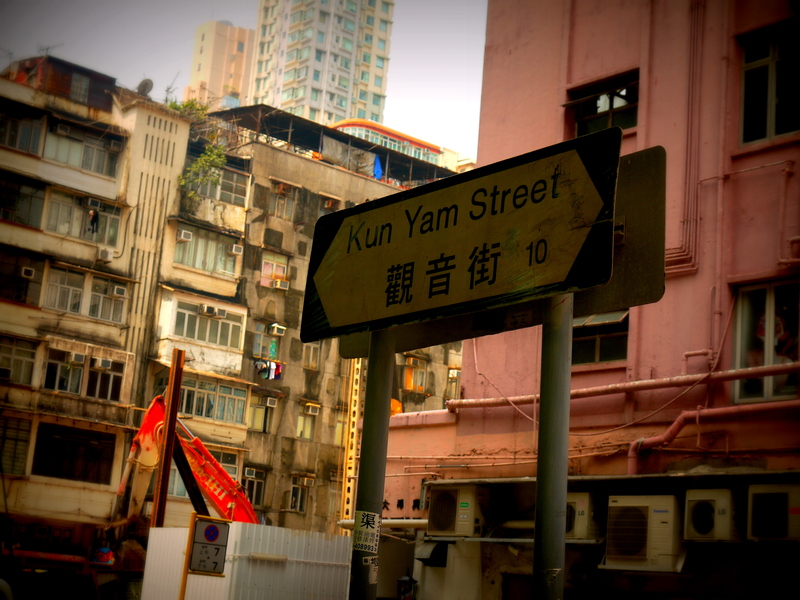 A City University of Hong Kong Ambassador told me, “When you are trying to get back home on a taxi, tell them to take you to ‘Kun Yam Miyu.’ I thought ‘Miyu’ meant ‘street’ or ‘road’, but that’s not what Google Translate is telling me…whoops. Maybe I heard wrong?